Take part in several Multiplayer Seasons! Race into the future with the Terzo Millennio, exclusively in Asphalt 9! THE LAMBORGHINI EGOISTA IS BACK! Fall in love with the Huracán EVO Spyder! 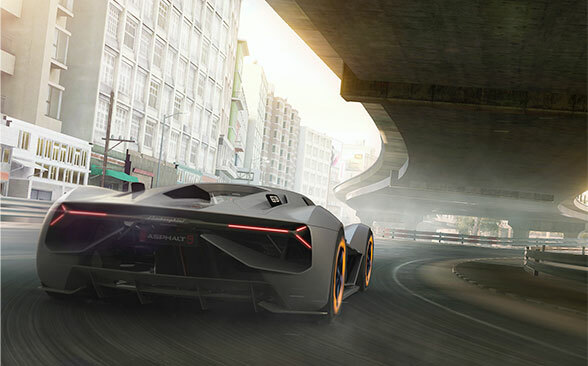 Revealed on March 5th at the Geneva International Motor Show 2019 at a closed-door Lamborghini press event, the Hurcán EVO Spyder is already available in Asphalt 9: Legends. The Huracán EVO Spyder is coming! The Asphalt 9 Team is proud to announce the Huracán EVO Spyder is coming to the game. It has yet to be unveiled publicly at the Geneva Motor show! But you’ll get to drive it in-game just after it’s revealed to the world! The Koenigsegg Regera Special Event is about to begin, and trust us, this car is going to blow you away! So strap in, because here’s everything you’ll need to know if you want to unlock it once the event goes live, on February 1st. Get the latest update to Asphalt 9 while your engine’s still hot! Be the first to take on the new challenges and get behind the wheel of some of the most supreme sports cars to ever hit the track! Bugatti Chiron – The Fastest And Most Powerful Car. It’s time to melt the snow and fire up the Nitro in this massive winter update! Now that you’re on the fast track to becoming a Legend, let’s kick things into high gear with one of the community’s most highly requested updates—CLUB RACES! Challenge your teammates to see who’s the real Legend on any of the 70 official tracks! LAMBORGHINI EGOISTA - BE SELFISH, TREAT YOURSELF! In an effort to spice up multiplayer, we’re adding new rules to the mix that will rotate with each Season. On top of that, this update introduces completely new Seasons that will run at the same time, each structured around a different set of rules. This ensures that everybody will be able to enjoy a constant stream of fresh and fun multiplayer experiences, no matter how much you play! How do I check each Season’s rules? LEAGUE DEMOTION: If this rule is deactivated, players will not risk to drop from the highest league they’ve have reached! They’ll secure the best rewards! NO TAKEDOWNS: Takedowns can be deactivated for a set duration after the start of a race. You can also expect series without knockdowns at all, and only focused on racing! MIN POINTS CAP: This is the maximum amount of reputation points you can loose from a race. MAX POINTS CAP: This is the maximum amount of reputation points you can win from a race. RUSH MODE: Go and grind! You’ll gain fixed points based on position. Look forward to the upcoming CLUB and Community Season! If you are up for it, some of our future seasons could be planned with the community! All the great Clubs like UERK, RpM, Elite, Fury, plus many notable players could share their input on the most exciting cars and rules to run. Asphalt has always been driven by the fans, so we hope these events will drive everyone to the track! 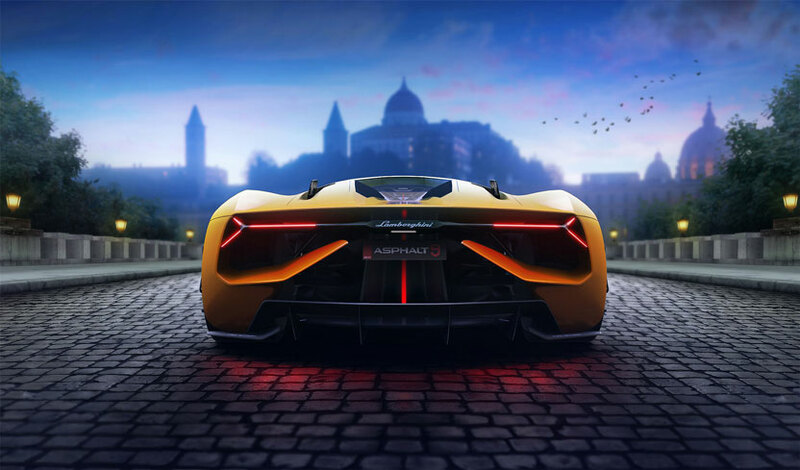 The Asphalt 9 Team and Lamborghini are thrilled to bring the Terzio Millenio exclusively to the players of Asphalt 9: Legends. 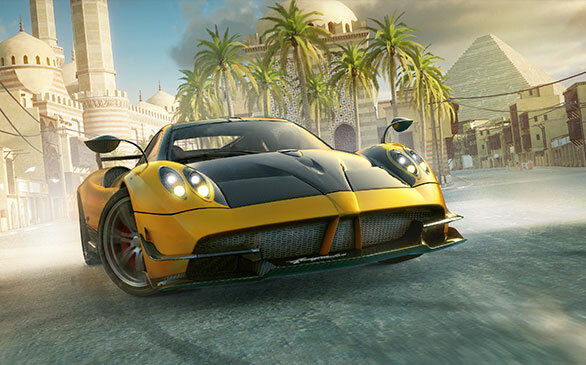 So be sure to play the Terzo Millennion Special event in Asphalt 9: Legends! The Terzo Millennio Special Event concludes 2 incredible months focused on Lamborghini. 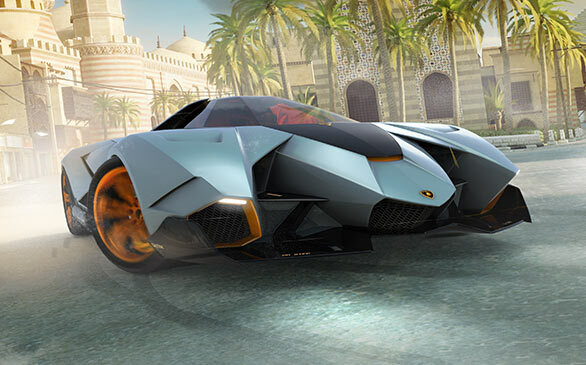 Those of you who unlocked and Stared up the Asterion, Egoista, Aventador SV Coupe, Centenario, and Huracán EVO Spyder have put their time to good use, and will be rewarded with many more chances to unlock and Star up the Terzo Millennio. But even if you missed the train, we still got you covered! You can win one Blueprint for the Centenario every day through the Daily Car Loot event, and completing Daily Tasks will get you an Asterion Blueprint every day as well! As usual, being member of a Club will also give you plenty of opportunities to unlock Blueprints, so work together with your Club mates to unlock the future of racing with the Terzo Millennio! We are proud to announce the start of our first official ESL competition! If you are living in the United States, showcase your skills and join the 2019 ESL Mobile Open to compete against the best players of Asphalt 9 Legends at Dream Hack Dallas and win big prizes! Here is everything you need to know to participate! Step 1: Download the game! Step 3: Select appropriate track & car to compete in each TLE. Players must have 15 career flags before unlocking TLE Mode. This will take the average player about 30 minutes of career game play. •et; This competition is only open to US citizens. •et; Note that All players must be 16 years of age or older. •et; Upon reaching Phase 3 all players must be registered on the ESL Play platform. •et; Must not be an employee or under the employ of ESL, Gameloft or other associated parties. •et; Must not have been an employee or under the employ of ESL, Gameloft or other associated parties in the last 6 months. Get it in the Unleashed Event, starting Tuesday 25th. 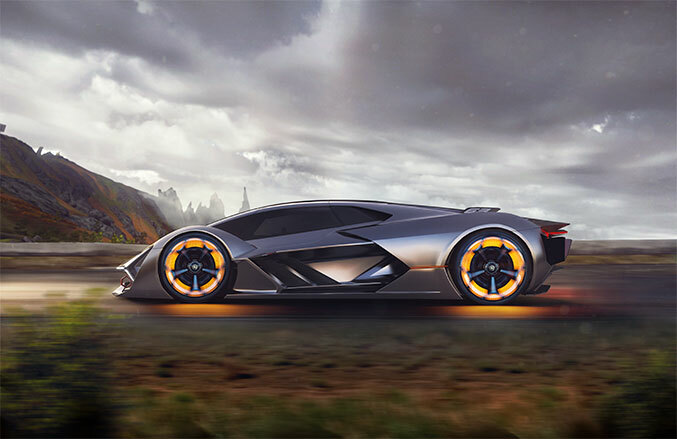 In 2013, Lamborghini blew its 50th candle, and as a tribute to the anniversary, a team comprising the head of design at Volkswagen Group, unveiled the Lamborghini Egoista. With its one sit cockpit - inspired by the Apache helicopter - the Egoista is a “selfish” car truly made for one’s own personal pleasure. The Hurácan EVO Spyder is exclusive to Asphalt 9! 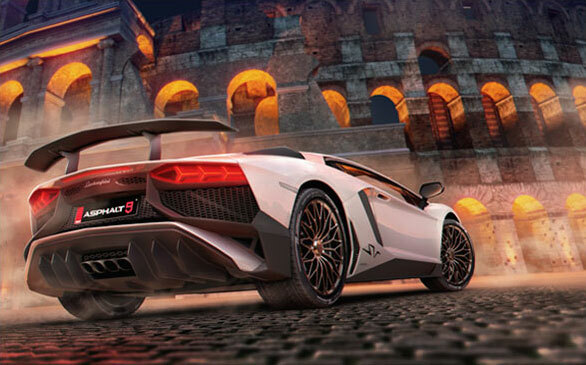 Revealed on March 5th at the Geneva International Motor Show 2019 at a closed-door Lamborghini press event, the Hurcán EVO Spyder is already available in Asphalt 9: Legends. So, let’s see if you’re capable of riding this storm to victory! The Huracán EVO line displays an aggressive design, tailored for performance and aero-dynamism. It molds the flow of air and turns it to its advantage. This monster of power is also incredibly stable and has a great handling, thanks to the LDVI technology, capable of anticipating the driver’s behavior. The Huracán EVO Spyder Special Event will run from March 8th to March 21st. 7 blueprints can also be obtained from the Motor Show Time-Limited Event, available now in the Daily Events section of the game. These additional blueprints will bring you to a total of 117 blueprints, which is enough to upgrade The EVO to 4 stars. There are a few cars that will be extremely useful in your quest to unlock the Huracán. Fortunately, we have prepared a few Car Hunts for you to get them! So don’t miss out on the Volkswagen XL Sport and Jaguar F Type events starting March 8th. To be able to use the Main Cars from stage 6 to 10, you will need to have applied Epic Import Parts, there will be an Epic Hunt to get these Import Parts in the Daily Events section! Just like the previous Special Event, being part of a Club will be a great advantage. So work with your Club mates and make sure to complete the Club Conditions of each stage to get more of these precious Huracán Blueprints. Remember that each stage of the event can be re-played as much as you like until March the 21st. THE GRIND NEVER STOPS!!! 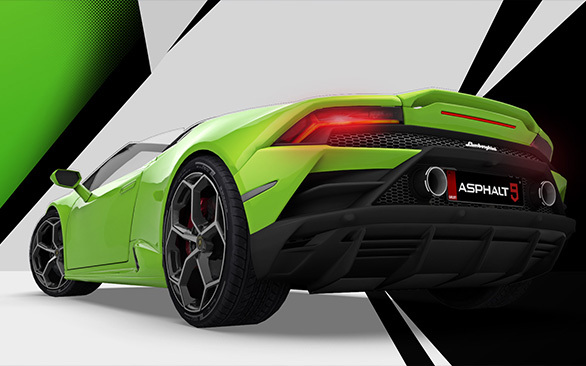 The Asphalt 9 Team is proud to announce the Huracán EVO Spyder is coming to the game. It has yet to be unveiled at the Geneva Motor show on March 5th 2019! But you’ll get to drive it in-game just after it’s revealed to the world! Another livestream will also happen at 6pm CET (5pm UTC / 9am PST / 12pm EST) on the same channels. Get Ready to Ride It! After the reveal, this amazing model will be added exclusively to Asphalt 9: Legends for you to race in. 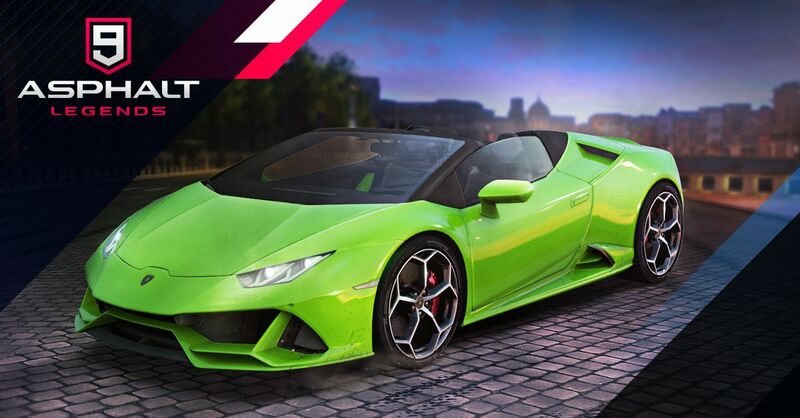 Test drive the Huracán EVO Spyder for the first time in Asphalt 9, on March 5th in the Geneva Motor Show Time Limited Event! The real quest to unlock this new beast begins on March 8th, with the start of the Huracán Special Event! Play until March 21st and make it yours. Unleash the power of the Koenigsegg Regera in Asphalt 9! Get ready to meet one of the fastest cars on the planet, and to fire up the engines of this northern beast. Racing right out of Sweden and built with world class engineering, the Regera is a certified Legend, earning its place among the best S-Class vehicles of Asphalt 9. 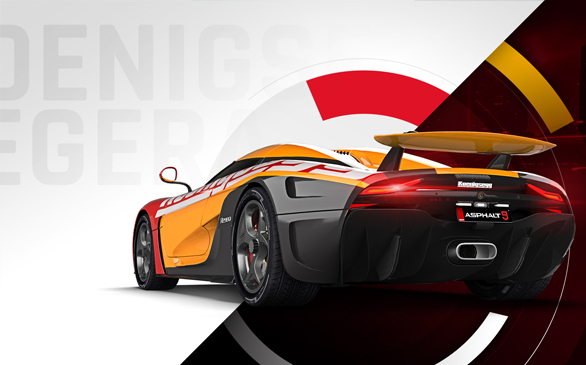 The Koenigsegg Regera Special Event is open to everyone; new and veteran racers alike. Throughout the event, new stages will become available daily for you to challenge. Complete them all and you’ll earn enough Blueprints to unlock and Star up the Koenigsegg Regera. Plus, there are thousands of Tokens and millions of Credits to grind for by replaying stages. One of the earlier stages will enable you to unlock another brand new car: The Vencer Sarthe. You’ll earn enough Blueprints to unlock it just by completing the stage, making this speed machine a powerful asset in your quest to unlock the Regera, so race on! The Sarthe has a GT, neo-retro feel, inspired by the inimitable ’80s race cars like those in the 24 Hours of Le Mans. It is “purpose built” to endure the toughest race condition and lead you to victory. Don’t miss out the Mercedes-Benz AMG GT S Time Limited Events, as this car will prove useful to unlock the Koenigsegg Regera. So don’t forget to check out the Daily Event section. Now, more than ever, is a great time to join a Club! Club mates can help accelerate your progress by getting you exclusive Regera Blueprints. Remember to replay every stage of the Special Event. Even though a new stage unlocks daily, stages you’ve beaten are still repayable throughout the event. So grind those Blueprints, Tokens and Credits! One more thing: Keep in touch with us on social media! We will continually disclose new details about the various event stages as they become available, so you can continue writing your own Legend! Embark on a 21-day campaign with new challenges every day to unlock the ultimate Koenigsegg Regera. Then take the top spot in the final limited-time ranked event to earn an exclusive decal for your own Regera, as well as those of your Clubmates! Events will now include Club Conditions with special challenges. Once enough members of your Club complete the challenge, everyone gets a reward! 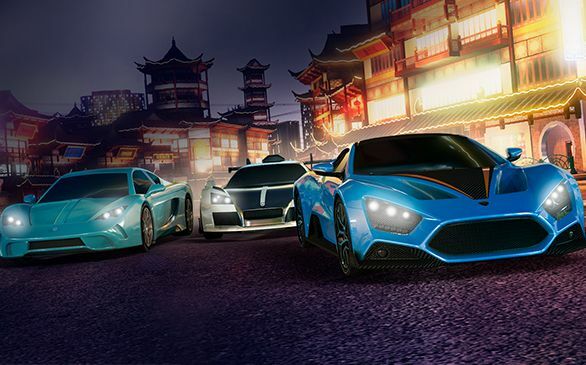 Ride to glory in the stylish Vencer Sarthe, Zenvo TS1 GT Anniversary and Apollo N.
The "DUEL" is a brand-new multiplayer season that will have you competing bumper-to-bumper in 1-versus-1 races. Two new track segments have been added to the Rome course. Be among the first to master these new race tracks! Joining a Club has been made easier with a new Club suggestions screen. In addition to racing, you can now use your controller to navigate through the menus! Do you have what it takes to unlock this masterpiece of machinery! The CHIRON is the fastest, most powerful and exclusive vehicle ever produced by BUGATTI. Its sophisticated and performance-oriented design, or even its innovative technology, make it a unique masterpiece of art, form and technique, that pushes the boundaries beyond imagination. Engage in a challenging and rewarding campaign with new events every day to unlock this absolute masterpiece of machinery! 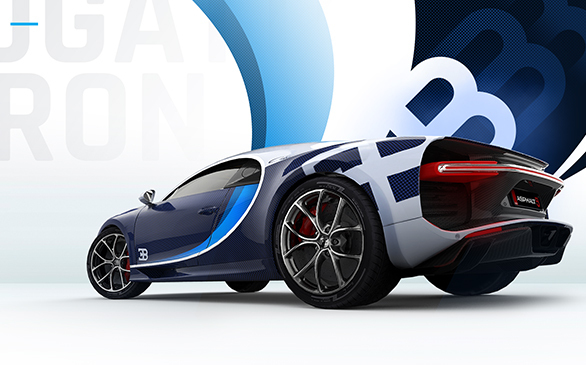 From Jan 4th to Jan 13th, compete against others in a special Bugatti Chiron’s ranked event. 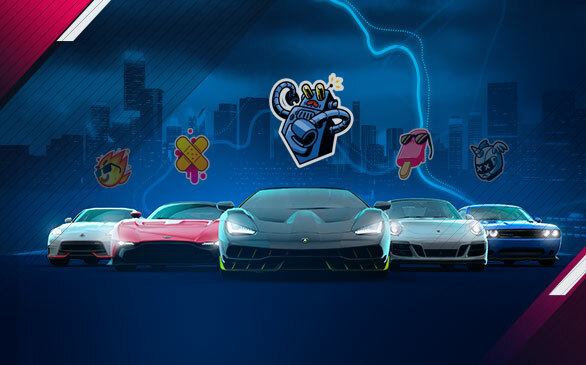 The top 10 players of the ranked event will also get an exclusive Decal for their Bugatti and for all of their Club members’. Use your opponents’ speed to your advantage! Follow the trail behind their vehicle to charge your Nitro bar and blast into the lead! But be careful; they can drift to cut off the trail, and once you’ve taken the lead, they can ride your trail to take it back! Put the fastest and most powerful car in Asphalt 9 at your fingertips. Engage in a challenging and rewarding campaign with new events every day to unlock this absolute mechanical masterpiece! Prepare to take the SIN R1 550, Genty Akylone, Maserati Alfieri and McLaren 570S Coupe for a spin real soon! Get ready to take on a unique Multiplayer Season every time! We’re introducing “No knockdowns,” “No rating point drops,” and other experimental rules so everyone can enjoy the competition in new and interesting ways. Collect the McLaren 570S Coupe to unlock the first McLaren-branded season and test your skills in the stealthy “French Connection,” a special season dedicated to French automotive art. Log in every day between now and Christmas to unlock seasonal gifts in a surprising limited-time event! We’ve adjusted the performance of several cars to better align with their car rank. Check our official Forum at http://gmlft.co/A9Forum to find out more! Thanks to your feedback, we’ve also fixed several issues in the game for a smoother experience overall. Happy holidays! To celebrate 50 years of unmatched presence in Japan, the Ferrari J50 – ‘J’ for Japan – was created, and presented at the National Museum of Art in Tokyo, on the 13th of December 2016. Only 10 of this priceless, mesmerizing and wild speed beauty were ever produced. Get its blueprints in the Unleashed event starting Nov. 16th! Eager to pursue his dream of perfection, Horacio Pagani, began to conceive the Huarya Project in 2003. Named after one of Horacio’s dearest friend, the Huayra BC represents the dedication of a man, and the climax of the manufacturer’s interpretation of car design. It’s “a timeless interpretation of the automotive art”. Get it in the Unleashed event, starting Friday October 26th. The Spyder has one v8 motor and 2 electric motors, making it able to only emit 70g/km of CO2 while just using 3.0l/100 km. It’s almost unbelievable for such a powerful car. Did you know that only 918 models were ever produced? CLUB RACE MODE has been added by popular demand. You can now create your own private races to challenge your Club friends for fun and prestige! 2 NEW CARS are fueling up. So get ready to take the Lotus Elise Sprint 220 and Ferrari J50 for a spin real soon! A NEW CAREER SEASON with 20 unique challenges will open up once you unlock the Lotus Elise. GET MORE REWARDS in Multiplayer mode for rising up the ranks of the Legend League leaderboard. DAILY GOALS are now available, offering you simple tasks every day for even more prizes. CUSTOMIZABLE TAP-TO-STEER CONTROLS are now available by popular request! 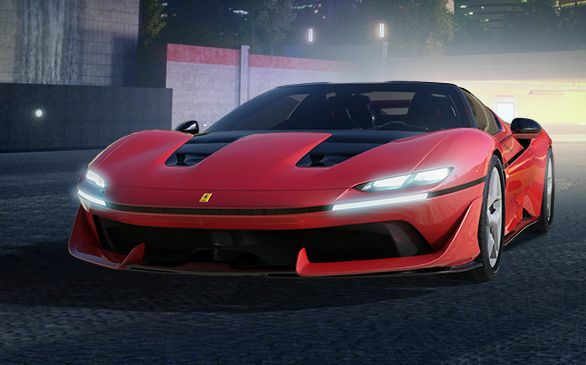 The stats of the Ferrari F12tdf, Lamborghini Aventador SV Coupe, Chevrolet Corvette Grand Sport, Lamborghini Egoista and VLF Force 1 V10 have been increased to better align with their car rank. And now, you will accumulate more nitro when drifting. Get it in the Unleashed Event, starting Friday 05th. 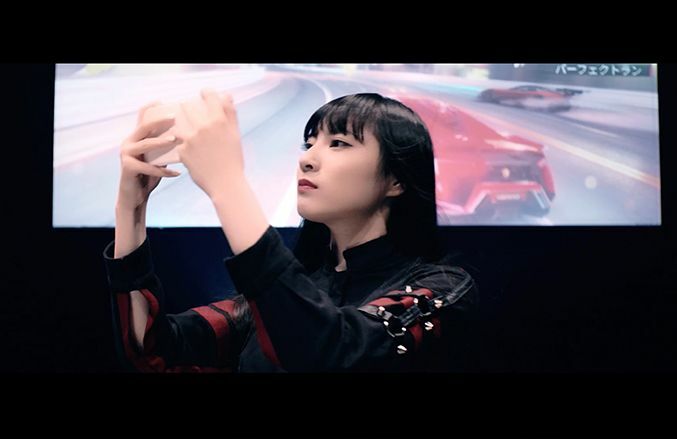 JAPANESE BAND, PASSCODE, TAKES YOU OUT WITH ASPHALT 9: LEGENDS! The Japanese idol group, Passcode, just released their 4th Major Single, “Taking you out”, an exhilarating song that invites you to escape with a very special accompanying video! 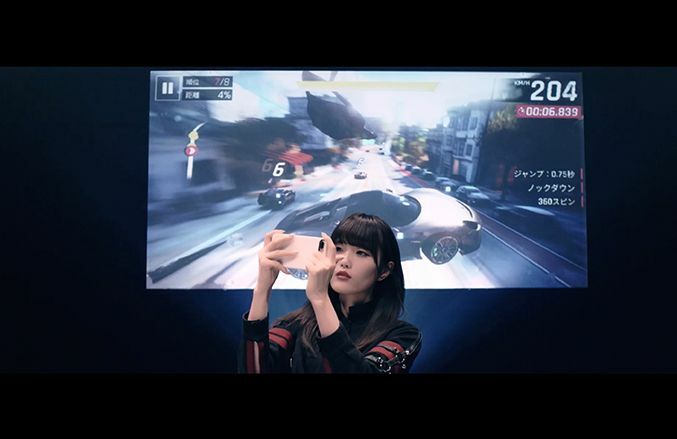 Passcode decided to collaborate with Asphalt 9 Legends to express their furious Kawaii metal beat and intense growls with action shots from the game. 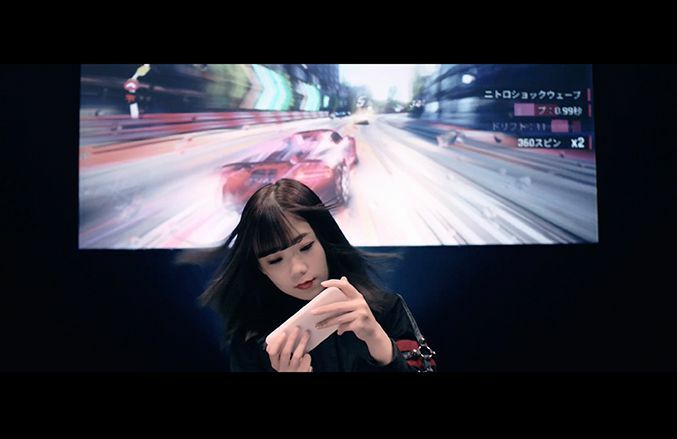 As the video begins, the four artists start playing with the game on their device while consorting their bodies to bend with the cars within the game. This special dance routine combined with Asphalt 9: Legends’ signature gameplay in a near-monochromatic setting turns what could have been a simple music video into a truly amazing visual performance that really does have to be seen to be believed. And, when you do watch it, make sure you stick till the very end. 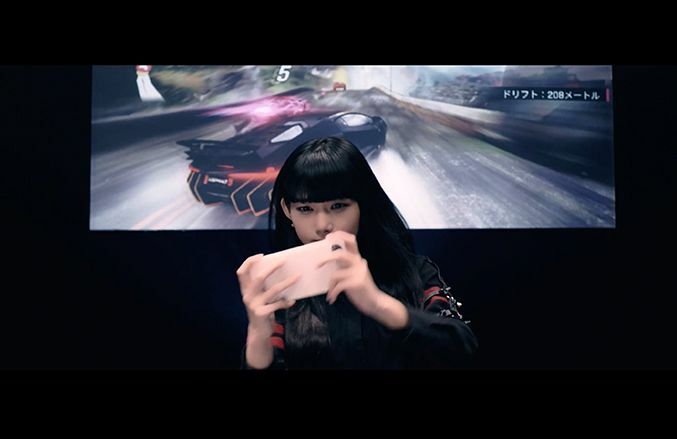 Passcode added some post-credit scene that takes you behind the scene to see the band having fun while playing the game together and it’s just so Kawaii! And whilst we may never which of the artist is the best racer, you can always try to find them in the game. Or, you can also follow them on their official site, or on their social media channels: Facebook, Twitter, and YouTube. Get it in the Unleashed Event, starting Friday 14th. Designed for competition in 1960, the Corvette Grand Sport was too fast for its own good! In its teenage years, due to it absolutely dominating SCCA events, the organization banned it from competition in 1988 because. Is it too good for Asphalt 9? You be the judge! HOW TO OBTAIN IT IN ASPHALT 9? We are launching the countdown event on September 7th, 2018. This is your chance to stack up the tokens you will need to get those precious Grand Sport blueprints and import parts in the Unleashed Cup that is set to start on Friday 14th, 2018 and end on Sunday the 23rd. 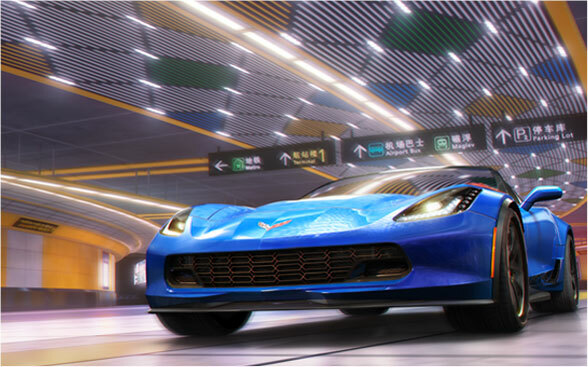 The Chevy Corvette Grand sport bundles are also available in the shop for a limited time, don’t miss out! Make it yours now in the Unleashed Event! First introduced at the Geneva Motor show in 2015, the Aventador SV coupé (aka LP 750-4 Superveloce) is the latest iteration in a series introduced in 2011. The car features improved aerodynamics, reduce weight and, of course, unmatched power. This car truly embodies Lamborghini’s fighting bull spirit. Acura introduce the NSX in the 90’s, and the car quickly established itself as the benchmark in term of built quality and reliability in the supercar segment. The original NSX hold his place right there among the most iconic supercars of all time. 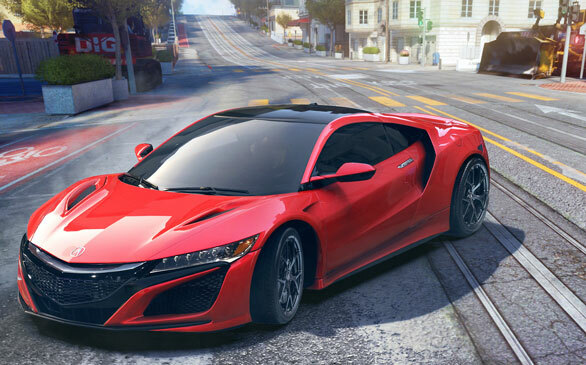 The 2017 version of the NSX is a monument of technology and power, and a car you should not miss in Asphalt 9. Developed through four pillars – Energy, Innovation, Powertrain & emotion - the Terzo Millennio was unveiled by Lamborghini in November 2017 as part of their vision of the future electric sport car. Mitja Barkert, Head of design at Lamborghini, shares some insights behind the creation of this unique concept car. WHAT WAS YOUR GOAL WHEN CREATING THE LAMBORGHINI TERZO MILLENNIO? WHAT WAS YOUR INSPIRATION FOR THE DESIGN OF THE CAR? WHAT MAKES IT SO EXCEPTIONAL? HOW WOULD YOUR VEHICLE DESIGN TEAM DEFINE THE TERZO MILLENNIO? © 2018 Gameloft. All Rights Reserved. 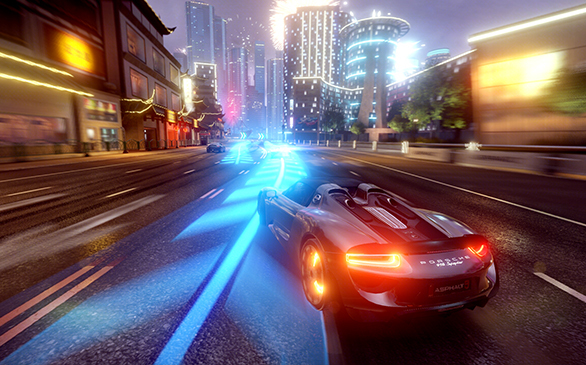 Gameloft, the Gameloft logo and Asphalt are trademarks of Gameloft in the U.S. and/or other countries. 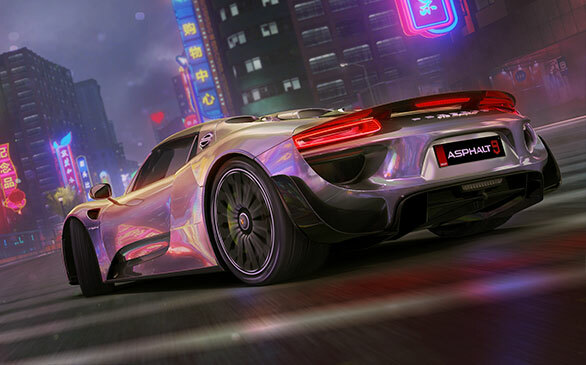 All manufacturers, cars, names, brands and associated imagery featured in the Asphalt 9: Legends mobile game are trademarks and/or copyrighted materials of their respective owners. I agree to receive information and promotional offers relating to Asphalt 9 Legends. YOU ARE NOW SUBSCRIBED.You will now receive the latest news fromASPHALT 9: LEGENDS!